Members who read my editorial in the recent Journal will have noted that I announced to the Committee my intention to step down as your General Secretary after a wonderful decade in post. Plan A was for this to be effective in the month of September but Plan B is best! Following advertisements in our Journal, the Officer’s Association and the White Ensign Association, the Chairman received a number of enquiries and conducted interviews for three highly qualified candidates. His board consisting of the SO1 Naval Sport, the MD of Rooster Sailing Ltd, and the founder and now Trustee of the Portsmouth Sailing Trust. The post was re-designated as RNSA Chief Executive to reflect the future incorporated status of the Association. It will come as little surprise that the questions asked were also centred on the future management and financial sustainability of RNSA with emphasis on the delivery of the six objectives written in paragraph two of the RNSA rules. On behalf of the Committee, I am delighted to inform you that the interview board selected Commodore Philip Warwick as my relief. Philip is taking premature retirement from the Royal Navy to take up the post and by mutual agreement I have agreed to remain on watch until he is available. 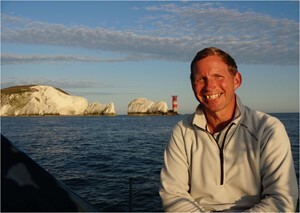 This will be in the first quarter of 2019 and it has already been confirmed that Philip will be ‘in the Chair’ at the next RNSA AGM on Saturday 02 March 2019 at the Hornet Services Sailing Club.